White paper on some of the top strategies for negotiations. 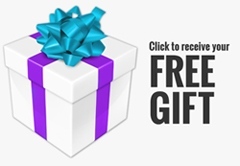 First 10 opt-ins will also get a 15-minute complementary consultation. After more than 20 years as a business lawyer and litigator, Nancy was tired of the heartbreak of business owners who’d lost everything from mistakes that could’ve been avoided. In this DIY society there are very limited legal resources for small to mid-sized businesses. It became her mission to demystify all that fancy legal-mumbo jumbo and help businesses leverage the law. 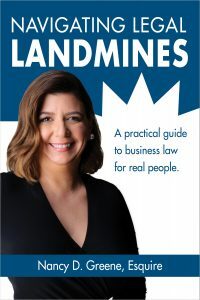 She’s developed a series of YouTube Videos and blog posts about avoiding some of the most common legal landmines for your business that launched in September, 2016, and has a new book releasing on February 28, 2017, to assist business owners avoid the Legal Landmines that can destroy their businesses. Starting her own law firm in 2013, Nancy understands business. In April, 2016, Nancy joined Land, Carroll & Blair PC as a principal. Her practice focuses on business litigation, employment law, women-owned businesses, start-up business and those businesses in transition from family to legacy business. An Amazon best-selling author, member of the National Association of Professional Women, NAPW Woman of the Year 2012/2013, and EWomen Network platinum member, when Nancy’s not practicing law, she’s spending time on her horse farm with her husband and two teenage boys, and writing fiction.